We know we can put ice cream into a lot of things: churro bowls, doughnut cones, and of course beer floats. But that doesn't mean there isn't new territory for frozen treat lovers to explore. 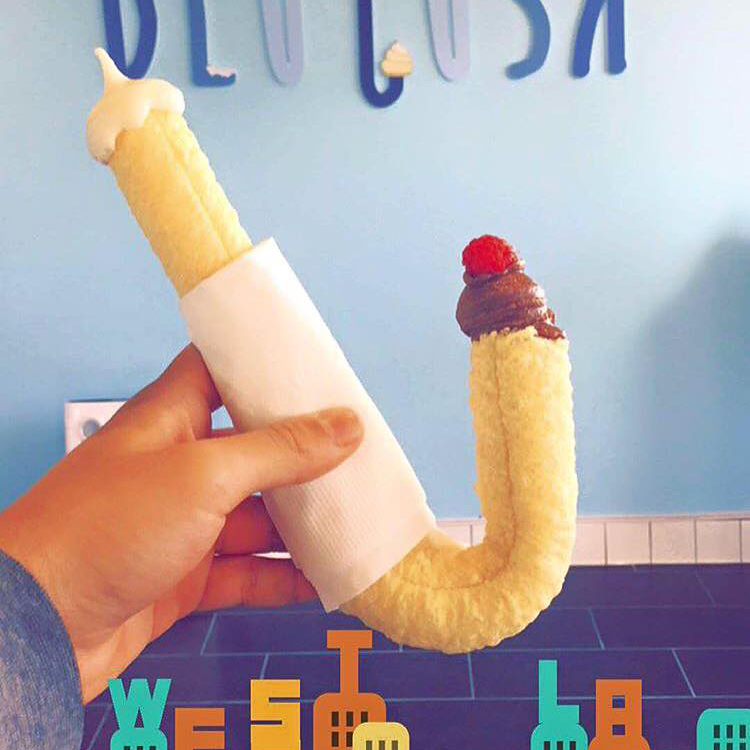 Throwing a curve at the competition is the J-shaped cone from BluTusk in Los Angeles' Sawtelle district. The South Korean treat is also being sold out of a truck in the New York City area by Play J and just might be the hottest treat of the summer. Like an ice cream saxophone (saxocone? ), the curved tube shape can be filled on either end, meaning you get two ice cream treats in one and that's never a bad thing. I'll admit, the J-cone looks a little intimidating and the shape seems off-putting, but that crispy puffed-corn shell is certainly intriguing. According to LA Weekly it has a similar texture to corn-based cereals like Cap'n Crunch, and given that Crunch Berries are one of the greatest (and most unappreciated) ice cream toppings outside of sprinkles, I'm very much on board. As the ice cream melts, it pools into the bottom of the curve, thus leaving you with a sort of soft-serve cannoli after 10 minutes. Wait, a dessert after your double dose of dessert? Yeah, this thing is genius.